While print ads used to be the most effective method of spreading a brand's message, simply running an editorial campaign is no longer an option for companies seeking to reach a wide customer base. Industry trends are now dictated by the Internet, and being visible online is absolutely necessary. 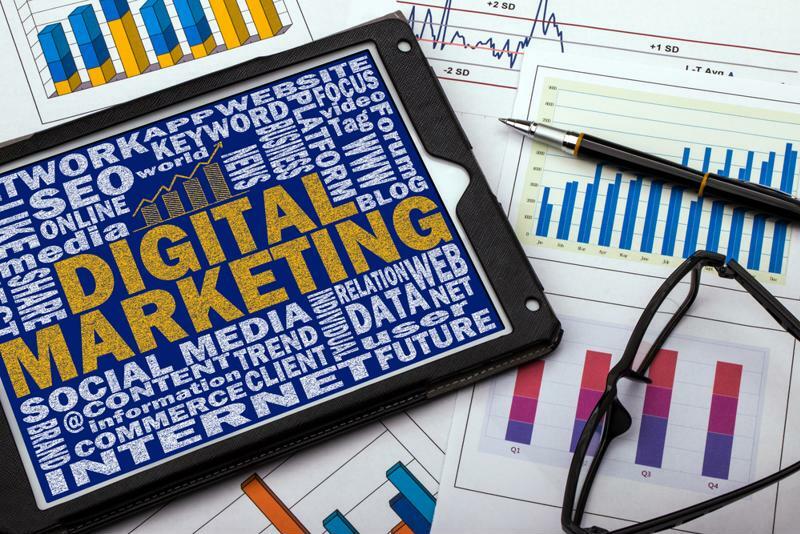 With the rise of portable technology and social media customers are expecting companies to advertise to them using a variety of digital marketing methods. According to a ProOpinion Poll, 29 percent of professionals place a strong focus on social media, while 20 percent are most concerned with building a general online presence. About 15 percent of respondents pointed to listing their companies in online directories as being their top priority, while 13 percent are focusing on direct mail marketing. Implementing video marketing was the main concern of 11 percent of professionals. Just a decade ago, having an online presence meant that your business had a central website, and perhaps issued emails to devoted consumers. Now, having a website is a given. It's like a phone number or mailing address - without it, your company essentially doesn't exist. Above the Law explained that today's definition of "being online" is directly tied to the ubiquity of search engines. Because most people head directly to Google when looking for products or services, your website needs to have the right content, social media pages, search engine optimization strategies and keywords in order to be discovered among a sea of competitors. Internet evolution has spurred a complete restructuring of the marketing world, and there are now more digital outreach techniques than ever that can boost your organization's online exposure. Your business needs a well-crafted online presence in order to be successful in today's digital age. People who hoped social media would be a passing trend need to accept that it's here to stay - and it's becoming increasingly necessary in the professional world. There are a few reasons every business should focus on social media platforms when building an online presence, the biggest being that it's free. While you can purchase programs that help you manage and optimize your social sites, creating accounts costs nothing and lets you reach people all over the world - now that's a positive return on investment. "Social media sites have become resources for consumer advice." Additionally, your competitors are undoubtedly all over Facebook, Twitter and YouTube already. And while these sites may have started as platforms for viewing pictures of kittens and your best friend's funny status updates, they've evolved into genuine resources for news and consumer advice. It's not unusual for people to consult exclusively with social media for current events and products recommendations, so not existing in this realm could be cutting you off from a massive, tech-savvy consumer base. Some tried-and-true methods of exposure are still at play in the marketing world, but have simply received digital updates. An excellent example of this modernization trend comes in the form of online directories. While organizations would previously list their services in the Yellow Pages, this type of database is rather antiquated. Instead, those in the know list their companies in Google My Business, Superpages and Bing Local, among others, explained Above the Law. One exception to the strictly digital outreach rule is the continued relevance of direct mail marketing, or sending physical brochures, flyers and advertisements directly to consumer homes. However, because customers are used to being dazzled by Internet strategies, paper marketing techniques need to be creative, useful and informative. Experian suggested forgoing impersonal monthly post cards for short, interesting weekly newsletters. Recently, video marketing has gained popularity as a premium method of adding texture and intrigue to websites. Not only does adding videos to your site make it appear more high-end and interesting, but it also works to bolster your page's exposure in terms of SEO strategies. VidYard explained that your company is 53 times more likely to appear on the first page of a relevant Google search if its site contains videos. The source also noted that video is the type of content that elicits the largest emotional response from consumers. Because forging a genuine connection with people is essential for developing brand loyalty, video can help you gain even more devoted fans.